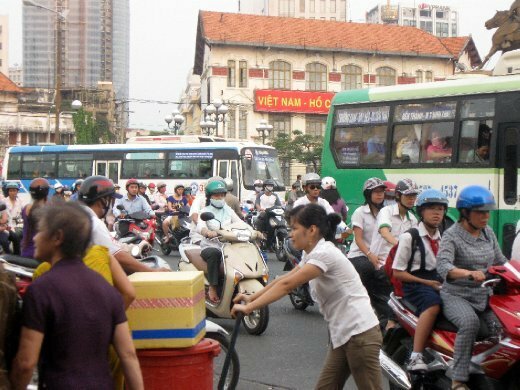 ...right into Saigon traffic! (Renamed Ho Chi Minh City after North Vietnam took the South at the end of the War in '75, it's still Saigon to most). Forget the helmets, Mi wished we'd had hockey goalie gear when riding on the back of motorbike taxis!